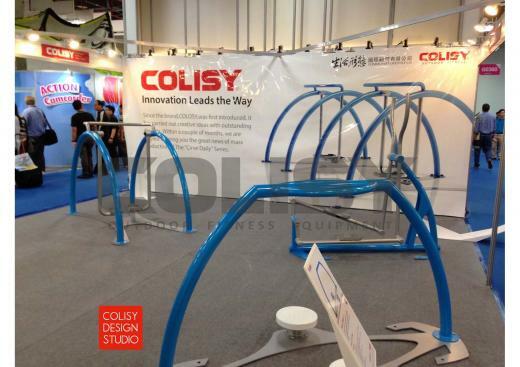 COLISY® won 2013 TaiSPO ALL STARS— Innovation's Stage of Excellence Competition. Progress takes time. 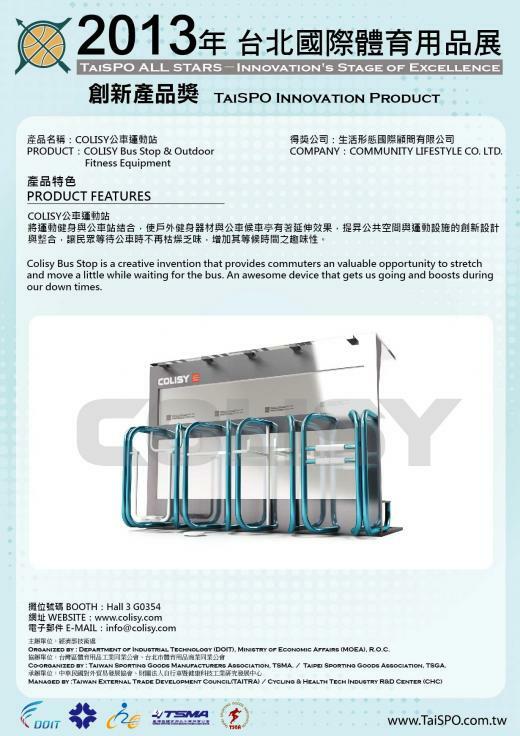 Excellence takes courage.【Colisy Bus Stop & Outdoor Fitness Equipment】won 2013 TaiSPO All Stars—Innovation’s Stage of Excellence Competition. 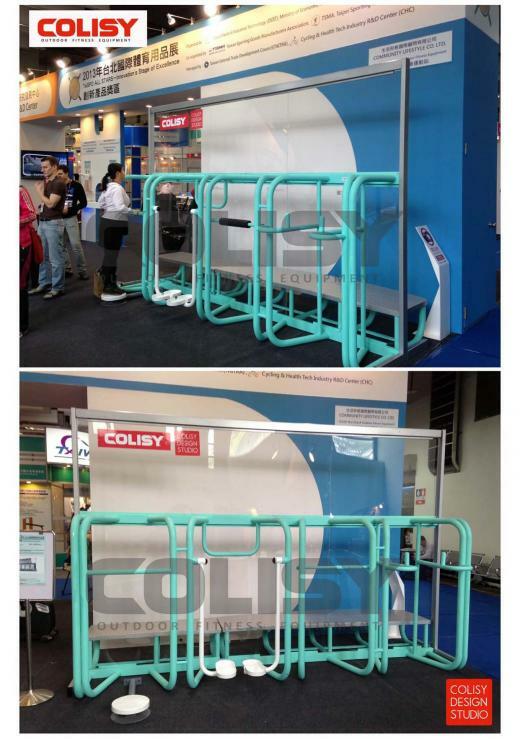 The COLISY®Bus Stop & Outdoor Fitness Equipment was awarded as one of the best innovative products of the year. About “Bus Stop & Outdoor Fitness Equipment”product is combined with the integration of bus stop and simple sports equipment. You can do some easy exercises to fit the daily amount of exercise required. Starting your own business may be a dream, but here we are turning the dream into reality. Before we start talking, I would like to emphasize that every business demands a dedicated mind, and this one is no exception. However, if you are one of the few that ever wants to run your own business so bad, this is your life-changing opportunity. 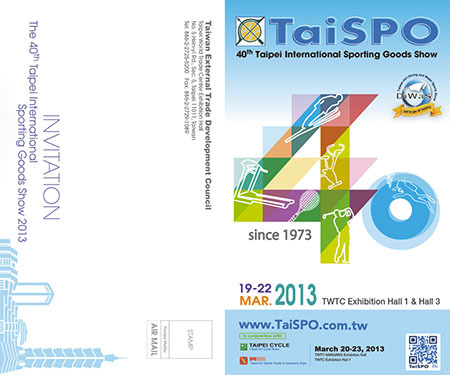 Outdoor fitness equipments have become popular in about ten years. This is still a market that is full of chances. Outdoor fitness equipments have many benefits, including free of charge to users, people can workout in an open space. With not so many competitors in your country yet, you are working towards a successful business. 1. Step-by-step to building up your own business in your country. 2. Full marketing strategy with a website dedicated in your own language, that means, you don’t need to create your own website.